JUST REDUCED. SAVE 9000 FROM MSRP. LEASE OR BUY AS A CPO AND GET EXTRA YEAR OF CPO WARRANTY INCLUDED. PREMIUM 1 PACKAGE, LOGIC 7 SOUND, HEATED STEERING WHEEL AND FRONT SEATS, HITCH, REAR CAMERA, BROWN EUCALYPTUS WOOD TRIM. Sunroof, NAVIGATION!, Backup Camera, Bluetooth, Hands-Free, AWD / 4WD, Heated Seats, Keyless Entry, Premium Sound, Premium Package, BLIND SPOT ASSIST, MB CERTIFIED, 115V AC Power Outlet, 19" 5-Spoke Wheels, Android Auto, Apple CarPlay, Blind Spot Assist, DVD Player, KEYLESS GO®, Lane Keeping Assist, Lane Tracking Package, Navigation Updates For 3 Years, Premium 1 Package, Radio: COMAND Navigation, Region Coding, SiriusXM Satellite Radio, Smartphone Integration (14U). Clean CARFAX. 4D Sport Utility, Electric ZEV, 1-Speed Automatic, AWD, Deep Blue Metallic, Black Leather, ABS brakes, Compass, Electronic Stability Control, Front Bucket Seats, Front Center Armrest, Front dual zone A/C, Heated door mirrors, Heated Front Seats, Heated front seats, Heated rear seats, Illuminated entry, Low tire pressure warning, Navigation System, Power Liftgate, Power passenger seat, Remote keyless entry, Split folding rear seat, Traction control. Priced below KBB Fair Purchase Price! CARFAX One-Owner. 2018 AWD Tesla Model X 75D Deep Blue Metallic Electric ZEV 1-Speed Automatic 4D Sport Utility Odometer is 7302 miles below market average! With some options like 4D Sport Utility, Electric ZEV, 1-Speed Automatic, AWD, Deep Blue Metallic, Black Leather, ABS brakes, Compass, Electronic Stability Control, Front Bucket Seats, Front Center Armrest, Front dual zone A/C, Heated door mirrors, Heated Front Seats, Heated front seats, Heated rear seats, Illuminated entry, Low tire pressure warning, Navigation System, Power Liftgate, Power passenger seat, Remote keyless entry, Split folding rear seat, Traction control, 17 Speakers, 4-Wheel Disc Brakes, 9.73 Axle Ratio, Adaptive suspension, Air Conditioning, Auto High-beam Headlights, Auto tilt-away steering wheel, Auto-dimming door mirrors, Auto-dimming Rear-View mirror, Auto-leveling suspension, Automatic temperature control, Blind spot sensor: warning, Brake assist, Bumpers: body-color, Delay-off headlights, Door auto-latch, Driver door bin, Driver vanity mirror, Dual front impact airbags, Dual front side impact airbags, Exterior Parking Camera Rear, Four wheel independent suspension, Front anti-roll bar, Front fog lights, Front reading lights, Fully automatic headlights, Garage door transmitter: Homelink, Genuine wood console insert, Genuine wood dashboard insert, Genuine wood door panel insert, Head restraints memory, Heated steering wheel, Knee airbag, Leather steering wheel, Memory seat, Occupant sensing airbag, Outside temperature display, Overhead airbag, Passenger door bin, Passenger vanity mirror, Power adjustable front head restraints, Power door mirrors, Power driver seat, Power steering, Power windows, Radio data system, Radio: FM w/Custom Audio System, Rain sensing wipers, Rear air conditioning, Rear anti-roll bar, Rear reading lights, Rear side impact airbag, Rear window defroster, Security system, Speed control, Speed-sensing steering, Speed-Sensitive Wipers, Standard Suspension, Steering wheel memory, Steering wheel mounted A/C controls, Steering wheel mounted audio controls, Synthetic Leather Seat Trim, Telescoping steering wheel, Tilt steering wheel, Trip computer, Variably intermittent wipers, and Wheels: 20" Silver! (Not all options may be on this vehicle due to automated process)Loeber Motors prides itself in being one of Chicagoland’s most prolific luxury car dealerships. With a robust selection of Porsche vehicles on hand. Chicago, IL car shoppers have plenty to choose from when they step on the Loeber Motors lot. 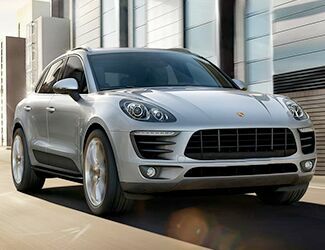 Luxury cars like the Porsche 911 Porsche Cayenne, many of the industry’s most incredible vehicles call Loeber Motors home. While we are based in Lincolnwood, we are proud to serve the entire Chicagoland community, including Evanston, Northbrook, Park Ridge and many other nearby locations. 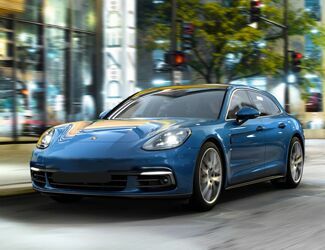 In the search for a new, certified or pre-owned Porsche, Loeber Motors remains a go-to location for luxury car shoppers.